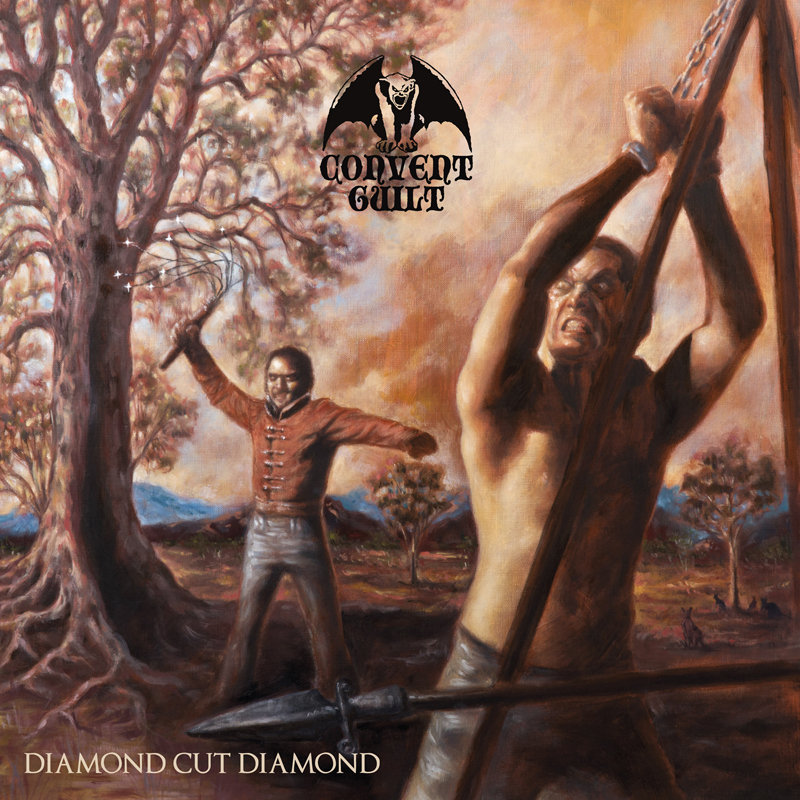 “Diamond Cut Diamond”, the second full-length album from Australian true metal quartet CONVENT GUILT, is set for a November 9 release via Gates Of Hell Records. The follow-up to 2014’s “Guns For Hire” was recorded at various locations around Sydney in the first half of 2018 by Lachie Vercoe, who was also responsible for the album’s mix. “Diamond Cut Diamond” was mastered by Patrick Engel at Temple Of Disharmony. The album’s striking cover art featuring a strong colonial Australian image was created by Lena Richter of Diamonds and Rust Tattoos. Possessing the same classic metal swagger as found on “Guns For Hire”, “Diamond Cut Diamond” contains seven slabs of song-oriented metal, graced with well-placed tinges of melody and NWOBHM influences. CONVENT GUILT (who feature bassist/vocalist/primary songwriter Ian, the guitar tandem of Andrew and Dario, and drummer Brent) have once again placed focus on emotion and energy over soulless musical precision, resulting in a must-listen for fans of early IRON MAIDEN, SAXON and TRESPASS. TYFON’S DOOM “YETH HOUND” LP/CD ARE READY TO SHIP! PATCH AVAILABLE!